Arrow Shirts (Cluet, Peabody) - Arthur with his works van. 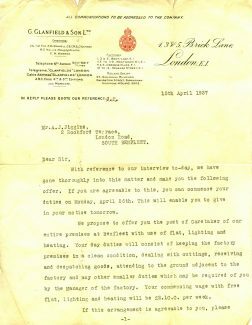 In April 1937 Arthur Jiggens successfully applied for a job at G. Glanfield & Son Ltd, a clothing manufacturer based at Tarpots. 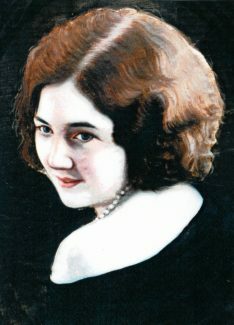 At just 33 years old and on the verge of marriage to Ellen, the job as a caretaker was a find. Arthur and Ellen married just one month later, in May 1937, at St Mary’s Church in Benfleet and they began their life together in the flat above the factory. 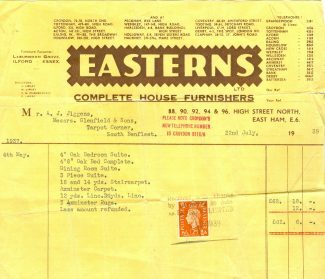 With gainful employment and a roof over their heads, Arthur ordered furniture and was able to furnish the whole flat at a cost of £62.6s.0d. 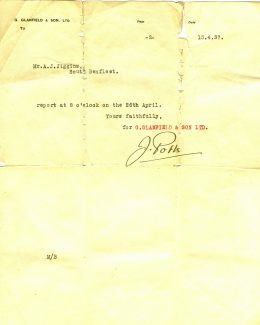 The bill from the company is shown (pic.3). 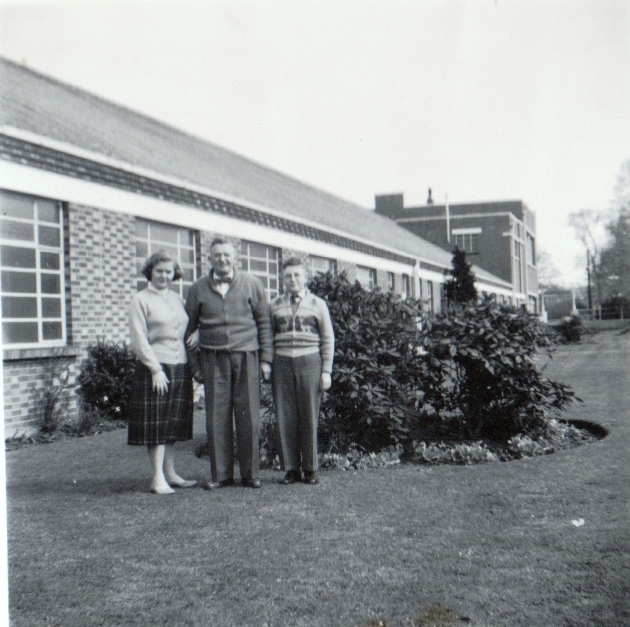 Whilst living above the factory, Arthur and Ellen embarked on family life. 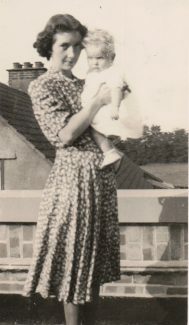 In 1943 Janice was born and four years later in 1947 her brother, John. As children, Janice and John had an unusual play area. With no ‘normal’ back garden to play in, the flat roof of the factory, became their high rise garden. With deckchairs, swings and toys, the family spent many happy hours together. Janice recalls the fun she, her brother and her friends had inside the factory when it was closed to staff. 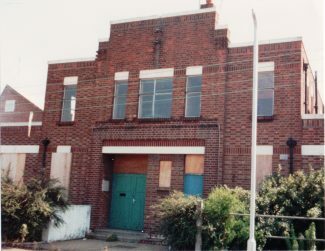 The flat was directly above the factory and the stairs down to the ground floor were next to the entry doors to the factory floor. The doors were never locked, allowing Janice and her friends to play there. 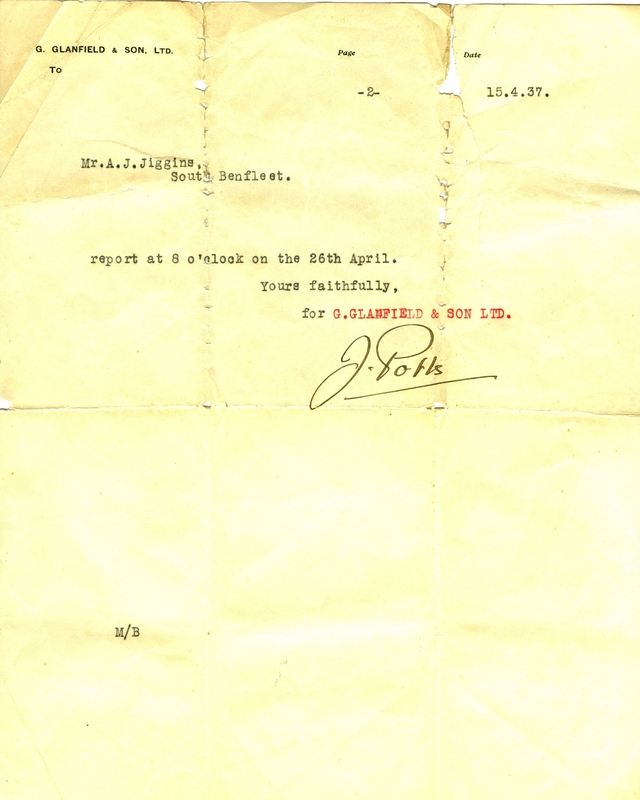 As a manufacturer of clothing, various large rolls of material needed to me moved around the factory floor. For this they used large trolleys and when empty, they made excellent vehicles for the children to wheel each other around on. The large floor area also made a good roller skating park – perfect for when the weather was too wet to play on the roof. Arthur’s job involved him being a gardener, cleaner, caretaker, delivery man, chauffeur and in fact ‘Jack of all trades’. Janice recalls that when dad was required to drive one of the cars he had to take off his old overalls and put on a special outfit, fitting for the occasion. When the cars were not in use, Arthur was allowed to use them for family time as a perk of his job. 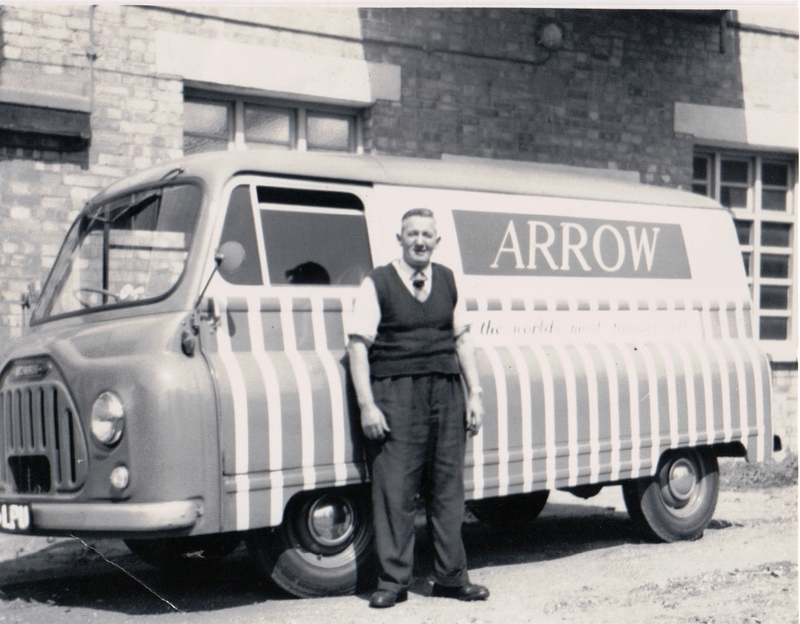 At this time one frequent journey Arthur had to make in the works van was to Brook Road, Benfleet. An offshoot of Glanfield’s, a smaller factory, was located there. In 1962, although Arthur was still employed at the factory, the family moved out of the flat to Gowan Close, Benfleet. 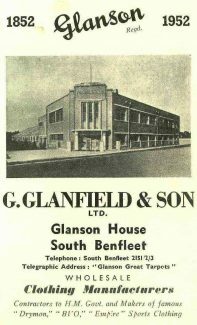 A year or two before moving out of the flat, Glanfield’s was taken over by Cluett, Peabody & Co Inc, shirt manufacturers. Arthur stayed in employment there in his job as caretaker but no longer living above the premises. A write up regarding Cluett’s appeared in a Benfleet Urban District Council Guide, dated 1961/62, transcribed below. “Cluett, Peabody and Co Inc, who are the largest manufacturers of shirts in the world, under the famous ARROW brand name, first started in business 110 years ago, in 1851. Before the 1914-18 war they were already famous for ARROW collars and, in fact, one amusing piece of history is that in advertisements for ARROW collars, a drawing of a husky young male was featured who became famous as “The Arrow Collar Man”, almost as famous as the Gaiety Girls, with his own fan mail, although in fact as a person, he never existed. It was after the 1918 period that Cluett, Peabody changed their production to collar attached shirts and within a very few years these became as famous as the Arrow collars. It is some three years ago now that this fine Company started production in Britain with a manufacturing plant at South Benfleet. Since their introduction, Arrow shirt sales in the U.K. have increased many times and also now cover a great many overseas countries as well. The factory at South Benfleet has some of the most modern up-to-date working conditions in this country. At the moment, over 200 girls alone are employed there, working a 40 hour week with very good wages. 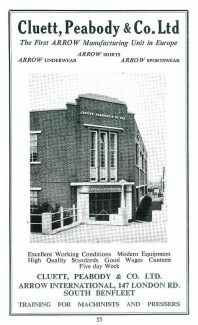 Obviously, since manufacturing in South Benfleet is still relatively new, a complete training programme is available for girls and women who have not previously been in such a factory. The spirit at South Benfleet amongst the girls is exceptional. 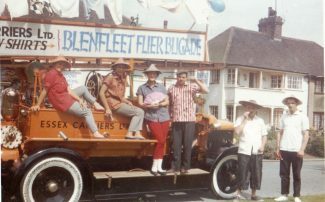 At the Southend Carnival last year, they originated and entered their own float and walked away with first prize. Janice still lives in Benfleet today, and she has many happy memories of her childhood. She says, one of the nicest things about living all her life in the Tarpots area, is she knows many people and people are always stopping her to say hello. 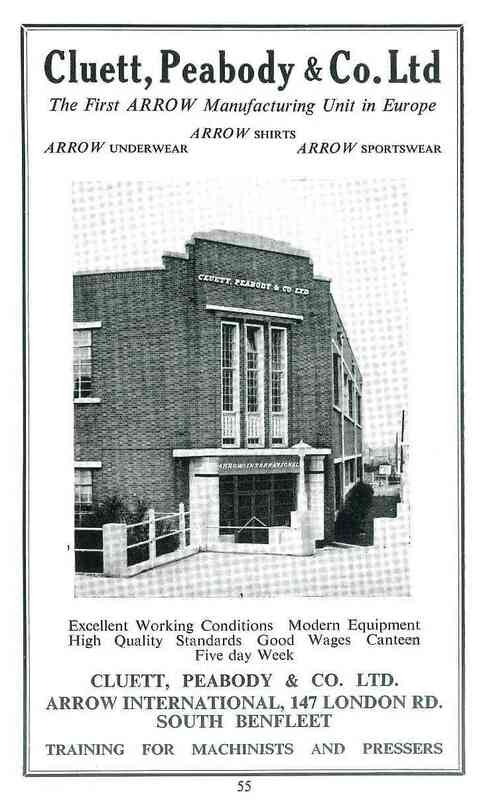 After Cluett, Peabody came Standard Telephone & Cables. At the moment we do not have any information on this company, the staff or its history. If you are reading this article and can help us with memories and photos, please contact us via the ‘add a comment’ section below. Today, flats stand on the site where these three Company’s traded from. Sadly, they also have no gardens! Like Pat, we lived in Kensington Avenue and used to play on the loading ramp. We used to crash into the roller doors on our skates as it was quite a steep slope and Mr. Jiggens would sometimes come out and tell us to “b****r off”!!! I found my way to this website and to this page while looking for information about Howard’s Dairies . 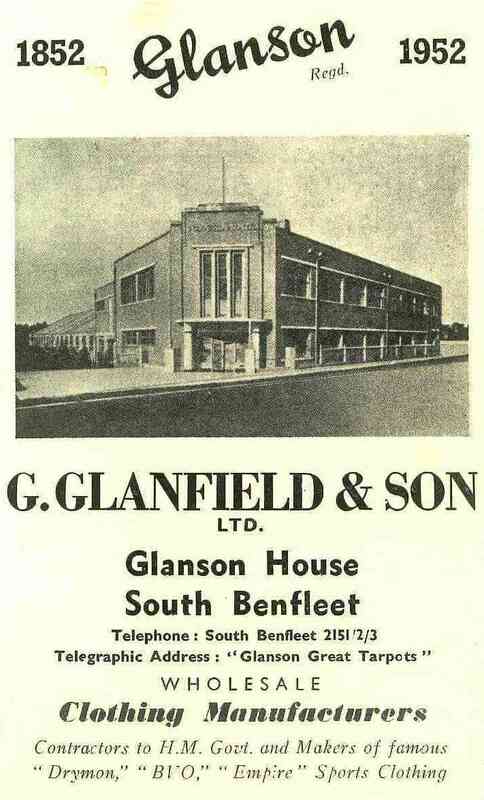 . .
Up until now I didn’t know that Glanfields was already established in Benfleet in 1937. 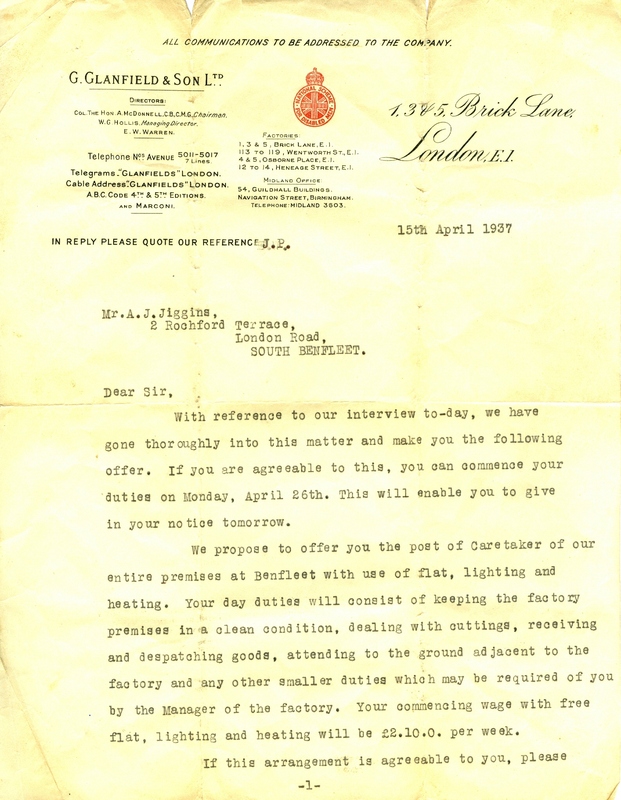 My father worked for Glanfields at one of their factories in the East End, probably Brick Lane. He was an Eastman/band-knife cutter, which entailed laying up the cloth in multiple layers with a thick paper sheet as the top layer. He would lay the designer’s patterns for the garment being made on that paper sheet and trace round them, ensuring he fitted them in the the most economical way. Then, with a band-knife, he cut around the tracings and thick layer of cloth for the machinists, etc. to then make the garments. 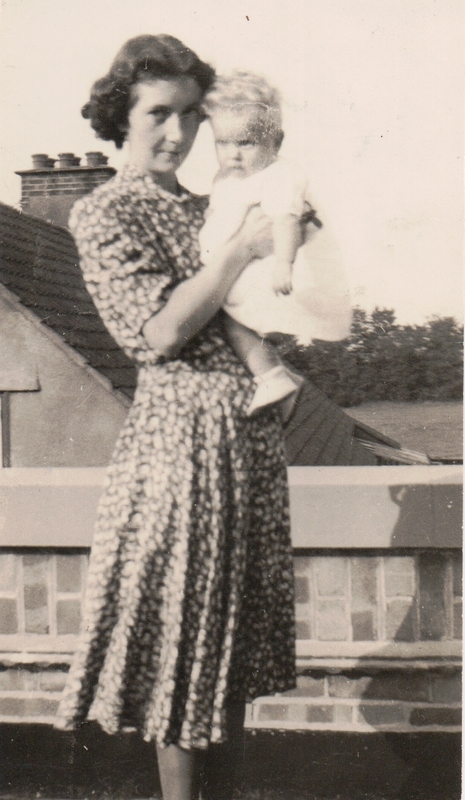 Getting back to my surprise to read Glanfields were at the Tarpots before the Second World War: My Mum and Dad moved to Westcliff from the East End just after the Blitz. I believe Glanfields had to move out of the East End to Harrow-on-the-Hill for a short while, I remember my Dad telling me he did fire watch up on the roof there. As things were so unsafe, and the company was making army uniforms, etc. 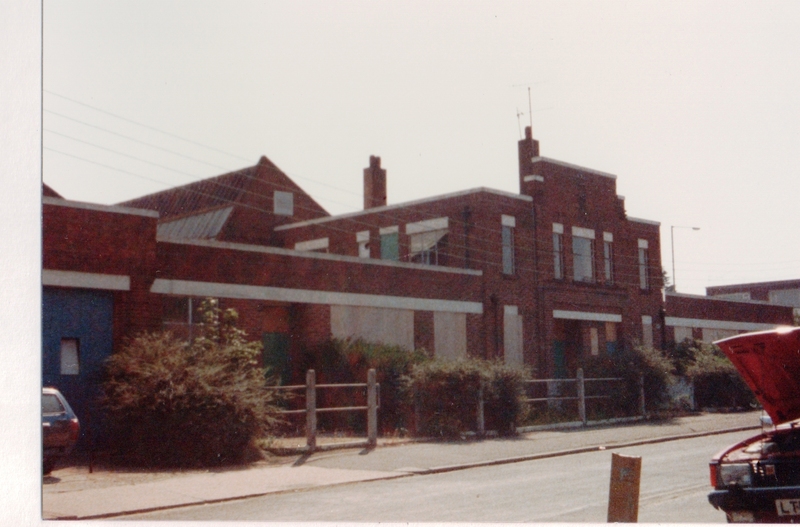 for the war effort, he and others were relocated to the Benfleet factory (me thinking it was a new premises). 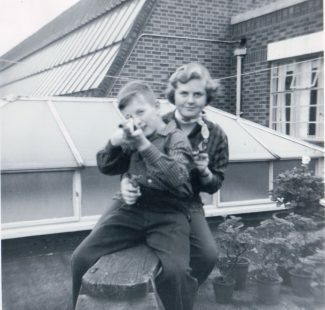 He and my Mum rented a house in Westcliff (which had been partially evacuated) – they eventually bought that house, my Dad living there until he died in 1995. He must have known Janice and her family. All this from me searching for info on Howard’s Dairies! It has now been converted into flats called “Saxon court”. They have been there since the early 90’s. I was trying to find out what the original building was called. Hello, I worked at Hopes Green care home in Brooke road and was just wondering if you can, I would like to know what it was before it was a care home. Interesting to read. I have to admit I was the person who arranged the demolition of the old STC factory buildings as part of the Tarmac Homes development of the site. It was quite a weird time as I grew up in the area. My daughter now lives in one of the flats! I used to live in Kennington Avenue and used to roller skate and use home made stilts in the shirt factory ramp and loading area! I really loved reading this piece and seeing the old photos. My Aunt Lilly Hubbard, from Morinville, 191 Thundersley Park Road, worked at Glanfields as a ‘Supervisor’ or similar title. 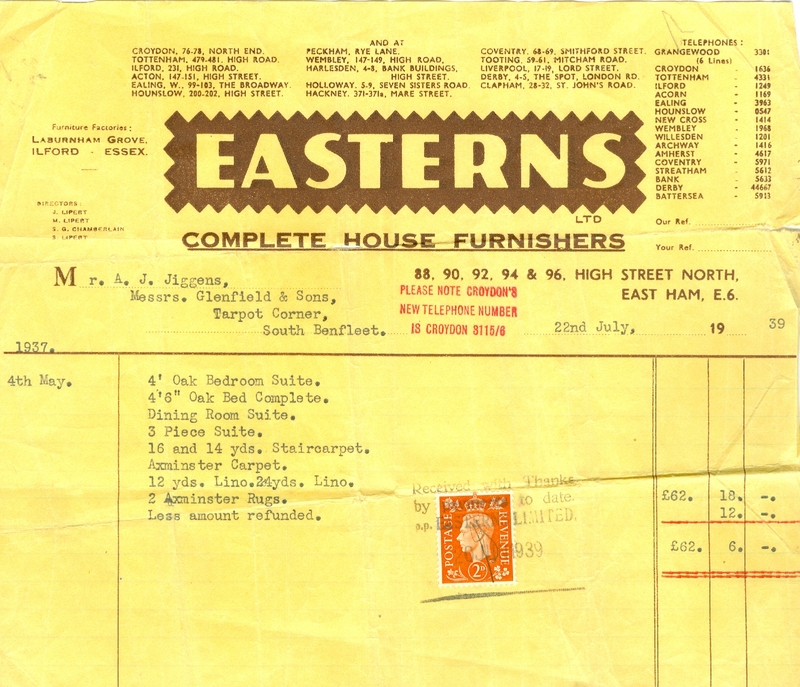 Later moving to Hobsons, Manager Mr Smith, uniform and badge manufacturers, from Holborn, on the corner of London Road, Kiln Road where she continued until her retirement. It is possible, according to family rumour, she originally worked at Hobsons when she first moved from Upton Park to Morinville, just about at the outbreak of WWII. I worked at STC from 1980 to 83 not sure. I was 17 and worked on a flow solder machine. I remember a great community and everyone dressing up in fancy dress at Christmas time. 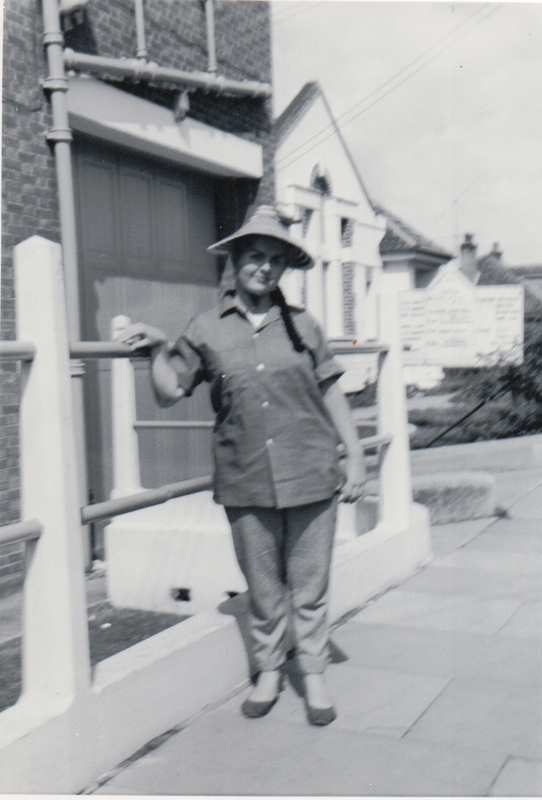 My aunt Ivy Finch from Essex Way worked at Glanfields. 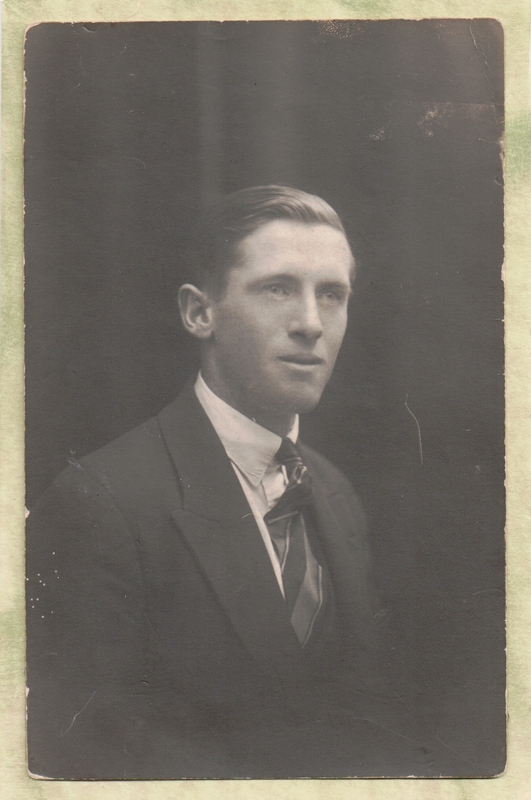 My father worked for Ford Motor Company, whenever they striked he would get work, doing the gardens at Standard Telephone and Cables, in fact when the strike was over, he still carried on tending the gardens, he was a keen gardener.